The Baltic Sea is the most polluted sea in the world. There are many rivers flowing into the Baltic Sea which carry waste from the centres of population, from industry as well as from agriculture into the sea. Because the cycle of water exchange in the Baltic Sea is slow and the sea is connected to the oceans through the narrow Danish straits, pollution also damages the seafloor and the shores of the Baltic Sea. The annual blue-green algae beds can also turn the coastal waters mushy on Finnish coast of the Baltic Sea. In addition to the traditional pollutants, marine litter is widely discussed throughout the world, plastic waste in particular. We see shocking pictures of plastic waste swirls in the Pacific and in the Atlantic Ocean. In the plastic waste swirls around the world’s oceans there are packages, clothes, plastic bags, bottles and cans swirling and grinding into micro-plastic particles. Micro-plastic causes multiple problems, among others in the in the marine food webs. Aquatic organisms from zoo plankton to fish and mammals mistake inedible plastic waste for their food. Due to the lack of food in animals eating plastic they cease to grow and suffer from health problems. The chemicals dissolving from plastic pass through the muscles into carnivores. In Finland litter already harms the coastal waters, too. Bottles and cans, plastic bags and other waste swing with the waves on the sand at the beach. In the beds of reeds you see old bobbers and canisters sticking out. Hiking trail areas are being are being littered. Excessive packaging and our disposable culture accelerate marine and onshore pollution. The problems of the Baltic Sea include various drug and hormone residues that can lead to reproductive problems in biota. Sterile fish suffering from hormone disruptions have been found near Helsinki coastline where the hormone residue levels are peaking. It is almost impossible to clean the hormone residues from the waste waters but they also easily translocate in human nutrition through seafood. In addition to trash and drug residues, also anoxic seafloor areas and eutrophication damage the Baltic Sea. The load should be reduced in all the Baltic Sea cities by building effective purification plants. The diffuse pollution from agriculture can be prevented by building buffer strips, for example. In fish production they try to prevent unnecessary nutrients from ending up in the sea. 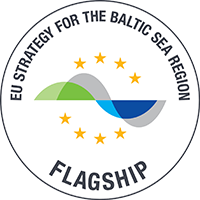 The Baltic Sea with its multiple problems needs a variety of detailed measures, but also a strong commitment to the protection of the sea from all the Baltic Sea coastal states. The EU Sulphur Directive has reduced sulphur emissions from shipping, and the systematic collection of bilge water in the ports has reduced draining bilge waters into the sea. The waste management in ships requires further development. In the 1960s and 1970s it was typical for the environmental debate to set the economic growth against the environmental protection. Environmental pollution was regarded as a necessary evil for the economic growth. 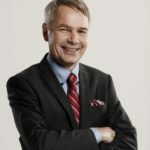 The author is a Member of Parliament of the Greens in Finland and a presidential candidate who has served as the Minister of the Environment from 1995 to 1999.